A new ransomware family popped on the radar of analysts, who see it as a serious threat created by skilled authors that can turn it into a multifunctional piece of malware. 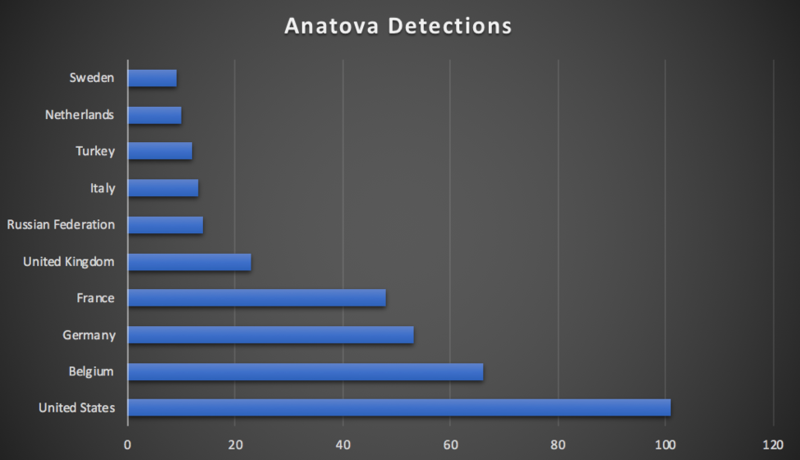 Infections with Anatova have been reported all over the world, most of them being in the United States, followed by countries in Europe (Belgium, Germany, France, the UK). The ransomware includes an anti-analysis routine that gets triggered under certain conditions. Once launched, the ransomware asks for admin privileges, runs a few checks and then encrypts files on the computer and then demands 10 DASH coins, currently valued at $700.